Picture courtesy of Craig Schannuth. 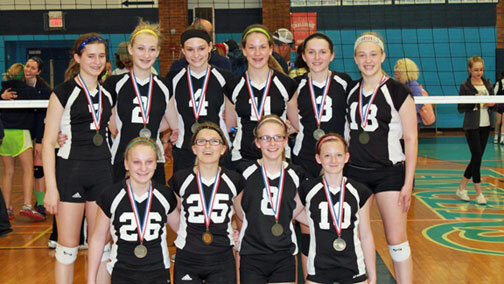 --The 13 and under Mid-State Force Volleyball team were a dominating “Force” taking first place in all five tournaments during their spring season. Pictured left to right: Rachel Steinhoff, Kelsey Pecaut, and Taylor Covington. Photo by Quick News student intern Taylor Goad. --Kelsey Pecaut, Taylor Covington, and Rachel Steinhoff not only were the 2012 volleyball team’s top players in their respective positions, more importantly they are among an elite group of student athletes in Missouri. While excelling on the court they exceled more so in the classroom, which has earned them the highest award any student athlete can receive. 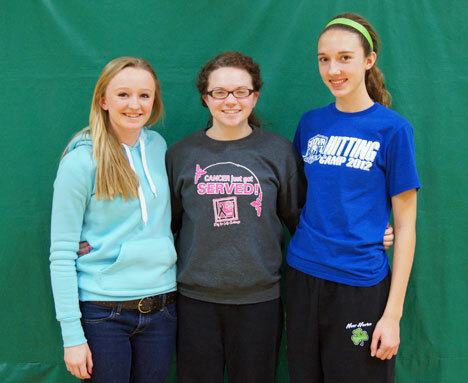 Earlier this month Pecaut, Covington, and Steinhoff were announced to the Academic All-State Team for volleyball. There are three criteria a student athlete must achieve in order to receive this prestigious award. 2. Player must have competed in at least 75% of the team’s total variety matches. --Generally, one would read in the newspaper about which students made All-Conference, All-Districts, or All-State in sports. Don’t get me wrong, these students deserve the recognition and a story written about their achievement, all of which I have included in this article. However, a story you won’t read about, other than a list of names in the paper, are the athletes who were Academic All-Conference. They deserve the same recognition along with interviews from coaches who have the same kids in their classes as they do on their teams. 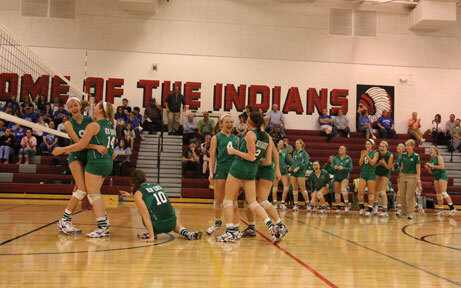 --New Haven’s Junior Varsity Volleyball team’s resolve and determination led them to an overall season record of 22-3-1, propelled them to a first place finish in the Pacific Tournament and Four Rivers Conference Champions for the second straight year. Good teams win games, but great teams win games separated by just a few points. 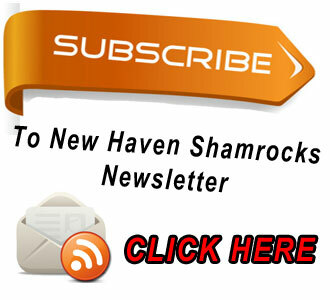 New Haven did what great teams do; find a way to win. 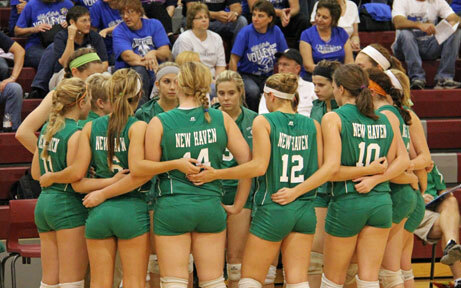 New Haven found themselves down 10-1 in the first set but battled back to tie things up at 13 all. However Union quickly recovered to win the first set 25-14. Kelsey Pecaut had a game high 13 kills but New Haven’s defense was the main contributor to their three set win over Owensville. Rachel Steinhoff had a season high 21 digs followed by the young sophomore Katie Peirick digging 12 of the teams season high 76 digs.